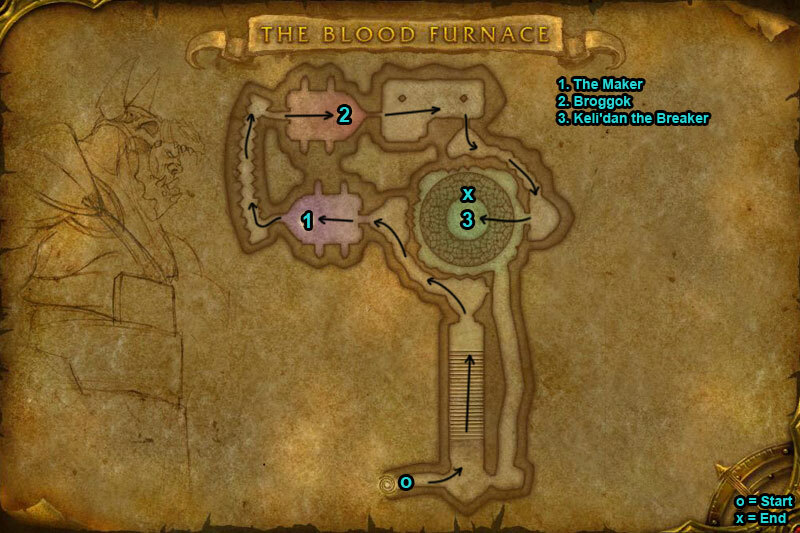 You can find The Blood Furnace dungeon within Hellfire Peninsula, Outland. /i Takes control of a player to fight against your party for 10 sec. Throws an explosive beaker at a player damaging all nearby & knocking them in the air. /i Open cells with the lever & kill the waves of orcs. Broggok damages all in front of him with Slime Spray, avoid this. Leaves a green circle under boss & grows in size, keep away. Poison Bolt shoots ticking poison at a player. /i Kill the Shadowmoon Channelers. Boss deals shadow damage spells. All nearby players will be hit with fire damage during Burning Nova, boss is also immune from damage during this cast. 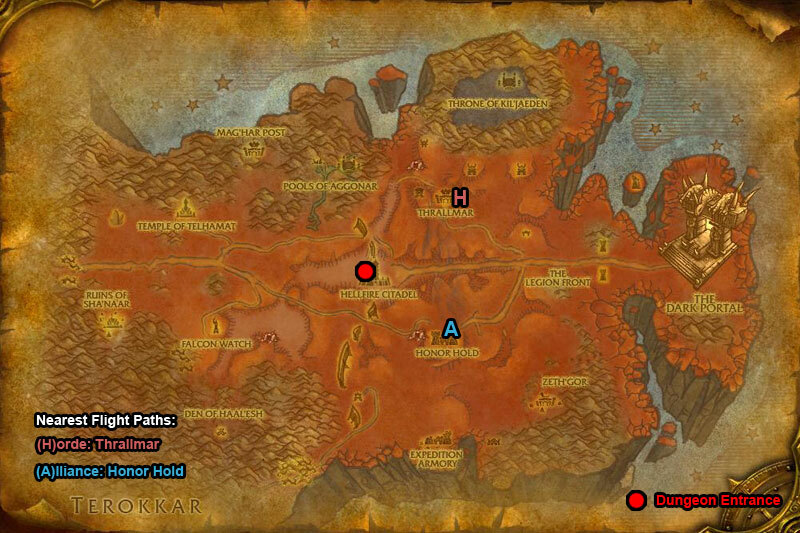 Heroic Differences: ‘Shadow Wrath’ inflicts shadow damage to a player.